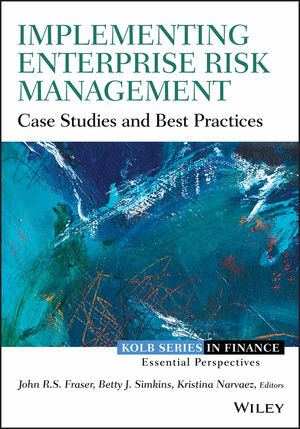 Implementing Enterprise Risk Management is a practical guide to establishing an effective ERM system by applying best practices at a granular level. Case studies of leading organizations including Mars, Statoil, LEGO, British Columbia Lottery Corporation, and Astro illustrate the real-world implementation of ERM on a macro level, while also addressing how ERM informs the response to specific incidents. Readers will learn how top companies are effectively constructing ERM systems to positively drive financial growth and manage operational and outside risk factors. By addressing the challenges of adopting ERM in large organizations with different functioning silos and well-established processes, this guide provides expert insight into fitting the new framework into cultures resistant to change. ERM is a complex endeavor, requiring expert planning, organization, and leadership, with the goal of steering a company's activities in a direction that minimizes the effects of risk on financial value and performance. Corporate boards are increasingly required to review and report on the adequacy of ERM in the organizations they administer, and Implementing Enterprise Risk Management offers operative guidance for creating a program that will pass muster. JOHN R.S. FRASER is the Senior Vice President of Internal Audit and former Chief Risk Officer of Hydro One Networks Inc. He holds several auditing and accounting certifications and has over 30 years of experience in the risk and control field. BETTY J. SIMKINS is the Williams Chair and Professor of Finance at Oklahoma State University's Spears School of Business, where she teaches enterprise risk management and other courses. She has published award-winning research on risk management in academic and professional outlets. KRISTINA NARVAEZ is President and CEO of ERM Strategies. Her work in risk management has been recognized with accolades and awards from numerous organizations, including the Risk and Insurance Management Society.